I wanted to capture the busy feeling of the streets in Hong Kong.It is not as easy as you might think. When I would set up my tripod, it would bring a lot of attention to me, and some folks would not allow me to take images of them or their businesses. This was a chance moment as my flight was delayed due to maintenance and the airline put all of the passengers up in hotels. So I had a few hours to work with to find some good compositions. 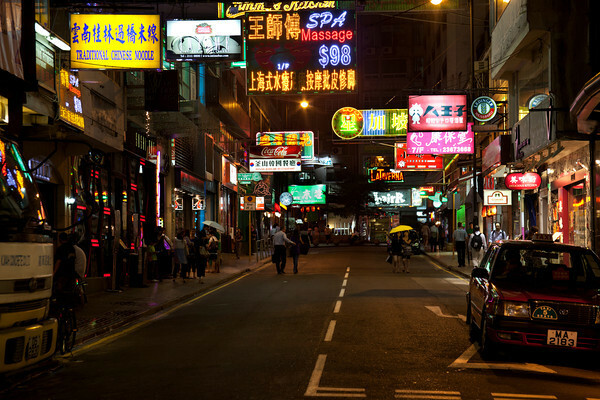 With a slight rain and a street with plenty of neon signs...I think this scene achieves what I set out to capture.